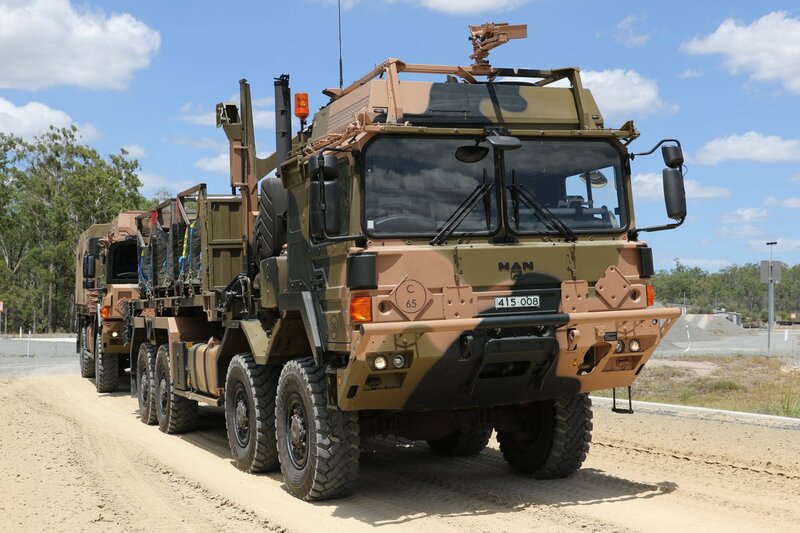 German arms firm Rheinmetall has been selected to supply the Australian Defence Force (ADF) with more than a thousand additional military trucks and modules under the Commonwealth’s LAND 121 Phase 5B program. The €430 million contract represents an extension of an earlier phase of the project, 3B, under which Rheinmetall is supplying Australia with 2,500 medium- and heavyweight military trucks worth a total of €1.2 billion. Armin Papperger, CEO of Rheinmetall AG said the follow-up order was of great strategic significance to the company, providing an excellent reference for other important international projects. “It reflects Australia’s satisfaction with our performance and the quality of our vehicles,” Mr Papperger added. The agreement, which was originally announced in mid-2018, will see Australian industry play a vital role in the project. Rheinmetall said it would partner with a range of Australia-based companies like Varley in Newcastle, Holmwood Highgate in Brisbane, and ECLIPS in the ACT to support the delivery of the project. Michael Wittlinger, head of Rheinmetall Logistic Vehicles and a member of the Rheinmetall MAN Military Vehicles GmbH board of directors, said the company will be working closely with its network of Australian partners and subcontractors to make its trucks the high-performance logistic backbone of the Australian Defence Force. “We’re very proud to be able to continue our outstanding cooperation with the ADF,” Mr Wittlinger continued.